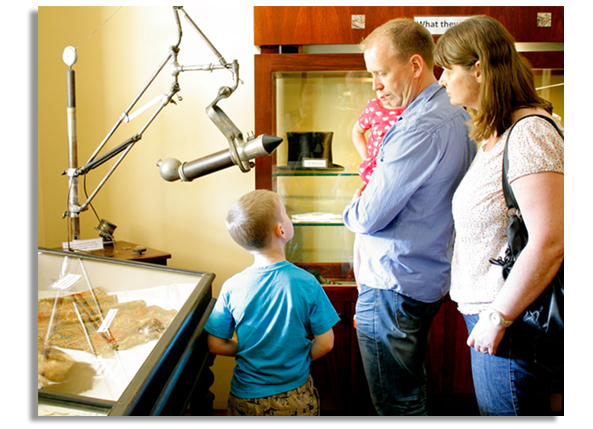 The Display rooms have been used for a wide range of activities through the years – including a school room, and the Waiting Room and Surgery for a series of Doctors who practiced in Glenalvon until the 1930s. 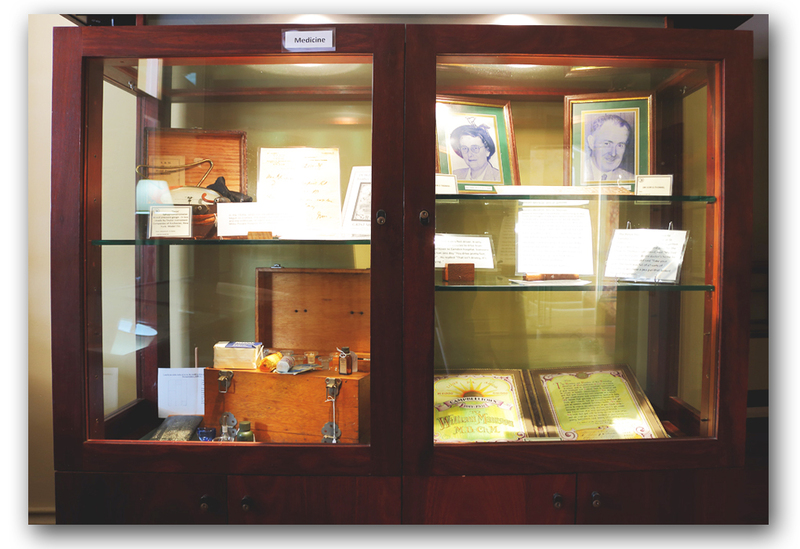 In our disply case we have items belonging to Doctor Ivor G Thomas, the founder of the Campbelltown and Airds Historical Society. The last Doctor to rent Glenalvon was Dr William Mawson, the brother of the Antarctic explorer, Sir Douglas Mawson. Dr Mawson had the disused Kendall’s Mill in Queen Street demolished and converted the mill house into the Milby Private Hospital which functioned as a Maternity Hospital until World War II (when there was no-one to operate the hospital), after this time the building became a Restaurant and is currently in poor condition after a fire.